*Submitting any tangible or electronic media, image, data, file, card, disc, device, film, print, slide or negative to you for any purpose, such as processing, printing, duplication, alteration, enlargement, storage, transmission, or other handling, to Memory Fortress [THE COMPANY] for processing, scanning, printing, photo restoration or other handling constitutes an AGREEMENT by you that any damage or loss by our company, subsidiary, or agents, will not entitle you to any recovery and no warrantee is entered into. PLEASE READ CAREFULLY, YOU ARE NOT ENTITLED TO ANY DAMAGES, INCLUDING BUT NOT LIMITED TO CONSEQUENTIAL DAMAGES FOR ANY REASON FOR ANY SERVICE PROVIDED BY THE COMPANY. THE COMPANY’S services are provided as is and without fault and hereby disclaims all other warranties and conditions, whether express, implied or statutory, including, but not limited to, any (if any) implied warranties, duties or conditions of merchantability, of accuracy or completeness of any provided service. You agree to be limited to a refund up to the amount of the disputed transaction and no additional incidental, punitive, indirect, consequential negligence or any reason is granted or warranted. The acceptance by our company, subsidiary and/or agents of the film, print, slide, negative, scanning or digital media and original photos for restoration is without other warranty or liability, and recovery by anyone for any incidental or consequential damages is excluded irrespective of whether the damage occurs because of our negligence, breach of contract, strict liability or other cause. However, sine 2015, providing our customers with the very best work is our goal and we always strive to make sure to protect your orders. THE COMPANY does not assume any liability, whether lost or damaged by fire, theft, negligence or any other means, for customer supplied materials such as photos, frames, paintings, artwork, etc., that are submitted with orders. We are not responsible for materials or orders left unclaimed for more than 30 days after completion of our service. All prices and service specifications are subject to change without notice. When purchasing any of our Prepaid Box services, once the flat box(es) have been shipped there are no cancellations or refunds. IN THE UNLIKELY EVENT THAT YOUR ORDER IS MISPLACED, LOST OR DAMAGED, YOU AGREE THAT THE COMPANY IS NOT LIABLE AND THERE WILL BE NO COMPENSATION OR PAYMENT OF ANY KIND. We assume no responsibility for any loss and/or damage to client’s materials while it is transported by the mail, courier or transport companies, nor any liability, for damage, loss, delay or irregularity to person or property in connection with any service advertised herein or by services provided by third parties over which Memory Fortress has no control. These high-speed photo scans are designed to digitally preserve your regular photos. This is not designed to archive professional images with museum-quality clarity. There is no refund for high-speed photo scans and you understand and agree that we cannot guarantee the image quality of the reproductions or individual quality control your files due to the extremely high volume scanning operation. These scans are individually adjusted to get the highest quality scan from your image. The Service is provided “as is” with no warranties whatsoever. All express, implied, and statutory warranties, including the warranties of merchantability and fitness for a particular purpose, is expressly disclaimed. You understand and agree that the submission of any photographs for scanning and upload through THE COMPANY is done at your own discretion and risk and that you will be solely responsible for any loss or damage to your photographs. ADVISORY: THERE IS ALWAYS RISKS WHEN SHIPPING ANYTHING, NO MATTER WHICH COURIER OR DELIVERY SERVICE YOU SELECT. YOU UNDERSTAND AND AGREE NOT TO HOLD THE COMPANY, ITS EMPLOYEES, DIRECTORS, OWNERS OR AFFILIATES LIABLE FOR ANY LOSS OR DAMAGE TO YOUR ORDER. YOU UNDERSTAND AND AGREE THAT THE COMPANY CANNOT AND WILL NOT WARANTEE OR GUARANTEE THAT YOUR ORDER WILL SAFETLY ARRIVE, AND IT COULD GET LOST OR DAMAGED WHILE IN OUR POSESSION OR DURING RETURN DELIVERY. WE RESPECT COPYRIGHTS AND INSIST THAT YOU COMPLY! Permission of the photographer is necessary under federal copyright law to scan, copy or reproduce photographs and images that are copyrighted. Do not send or provide us with any copyrighted photographs or images without the permission of the photographer. If you are not sure whether an order you want us to work on is copyrighted, please side with caution and refrain from submitting those in-question photos. There are laws that protect copyrights. It is usually illegal to copy or digitally reproduce photographs taken by others without their permission. 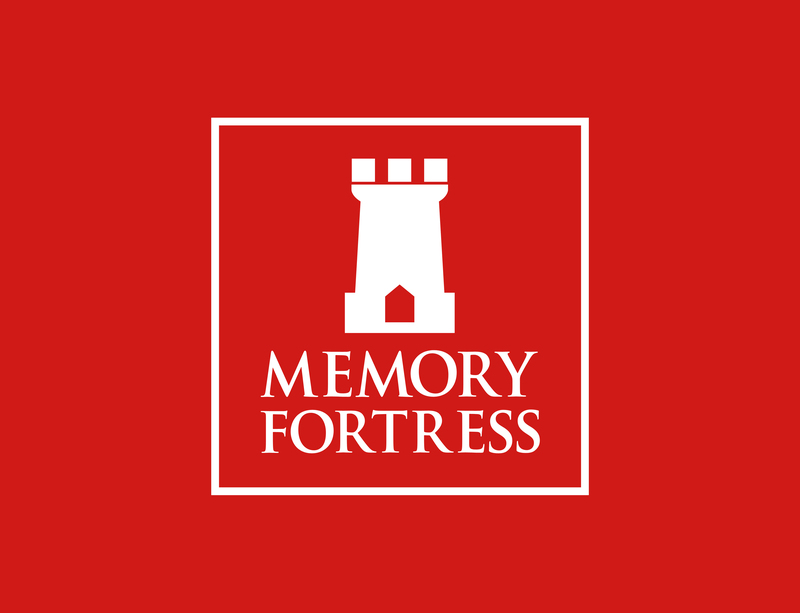 Memory Fortress protects artists’ work and will not knowingly or intentionally duplicate or accept any copyrighted materials, unless you are the owner or have permission to reproduce the work. By sending us your order you agree that you are the owner or have permission to reproduce the work. When photographs have a copyright symbol (©), or if in any other fashion, the pictures or images are copyrighted, if you do not already own the rights, it is your responsibility to obtain and include with your order a Release Waiver obtained and signed by the photographer. This will allow you to have the photograph(s) duplicated, restored, altered, copied or scanned. By submitting any order to THE COMPANY, you agree to release THE COMPANY, its agents, employees and directors of any and all obligations associated with the duplication, reproduction or scanning of the photographic image(s) that are submitted. You also agree that by submitting any work under this COPYRIGHT INDEMNIFICATION AGREEMENT that this is an unlimited release for your required work of materials that is or might be copyrighted and you grant THE COMPANY permission to print, scan, restore and work in your order under this agreement. You, in effect, grant full and absolute permission for THE COMPANY to reproduce the materials or take any other action it deems necessary to complete the required work assignment for you within a suitable time period. By submitted any work to THE COMPANY, you agree that you either are the owner or have a valid waiver from the copyright owner and you agree to permit THE COMPANY to duplicate or reproduce it for you, and you, nor anyone else, will hold any claims against The COMPANY. You also guarantee and obligate yourself to confirming that you in fact hold the sole copyright to the materials submitted. All costs related to the work submitted are to be paid by you. You and/or the holder of the copyright are responsible for any and all legal disputes that may arise in relation to this COPYRIGHT INDEMNIFICATION AGREEMENT. Any infringement of this policy might be a violation of federal copyright laws. By placing this order, you agree to these stated terms and conditions and agree that you either have permission or are the holder of all copyrighted work and grant full permission for THE COMPANY to duplicate this work for you. By submitting any photographic imaging orders to THE COMPANY, you agree to pay THE COMPANY the agreed to charges for all services provided, and to indemnify and hold harmless THE COMPANY, its employees, directors and its agents for all liability, damages and expenses (including reasonable actual attorney fees) it may incur as a result of its providing processing, scanning or other services and/or printing the photos, including any claims brought by any other person or company claiming an interest in the photos or in their subject matter. You further agree that you are the copyright owner, and that you authorize THE COMPANY to perform the activities requested with the works, including the preparation, scanning and reprinting of derivative works, or if you are not the copyright owner, then you agree that in all cases you have received the prior license from the copyright owner to submit the works to us and license for us to perform the activities requested with the works, including the preparation, scanning and reprinting of distributive works. You agree to defend and indemnify The Company from all expenses and liability arising from your performing the requested activities at my request, regardless of legal theory, including violation of statute, your negligence, my breach of this agreement, or otherwise.